The need to maximize the cost effectiveness and intelligently leverage technology is imperative to ENABLING MISSION COMMAND. 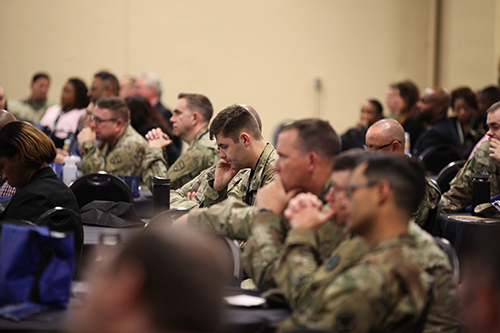 TechNet Fort Bragg offers an opportunity for experts and leaders from across the Army and Fort Bragg community to address various sides of the tough, controversial issues facing the FORSCOM, USSOCOM, JSOC and USASOC community. 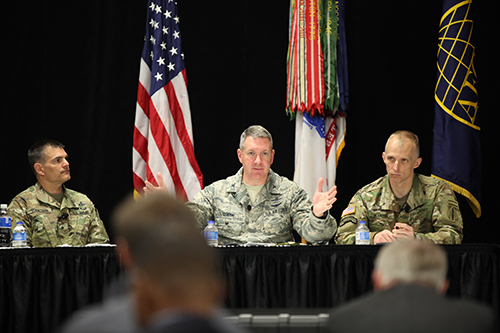 The goal of this Symposium is to allow a forum to demonstrate new, innovative ideas and share best practices that promote valuable results to technology challenges faced by our military today, especially in the Fort Bragg area. The Symposium aims to build solutions and create future “road maps” while providing a unique opportunity for differing opinions and positions to be expressed and debated. Topics focus on specific areas of Mission Command and address the hard-hitting issues facing the C4 community over the next 12 to 18 months. The Exposition offers an excellent opportunity to learn about the latest advances in technology through an interactive approach with attendees. Participating industry will showcase its products and services among key decision makers within the DoD from the Fort Bragg area. The Exposition supports the Symposium theme through demonstrating new, innovative ideas and sharing best practices that promote valuable results to technology challenges faced by our military today.